Mr Harding has held management positions around the world with British Petroleum (BP), including President and General Manager of BP Exploration Australia. Mr Harding is currently the Chairman of Lynas Limited and a Director of Cleanaway Waste Management Limited, a former Chairman of Roc Oil Company Limited and Clough Limited and a former Director of Santos Limited. Mr Harding holds a Masters in Science, majoring in Mechanical Engineering. Mr Harding lives in Sydney. Mr Fenn has over 20 years’ experience in operational and financial management as well as strategic development. He joined Downer in October 2009 as Chief Financial Officer and was appointed Chief Executive Officer in July 2010. 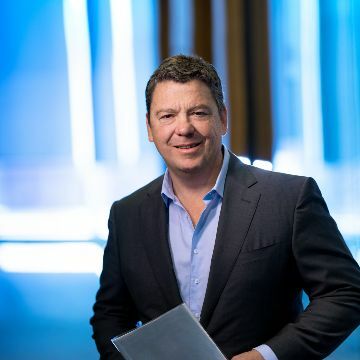 Prior to joining Downer, Mr Fenn had a 14-year career at Qantas Airways Limited during which he held a number of senior roles and was a Member of the Executive Committee for 10 years. These roles included Executive General Manager of Strategy and Investments and Executive General Manager – Associated Businesses, responsible for the Airports, Freight, Flight Catering and Qantas Holidays businesses. Mr Fenn is currently a Director of Sydney Airport Limited and he was previously Chairman of Star Track Express and a Director of Australian Air Express. Mr Fenn holds a Bachelor of Economics from Macquarie University and is a member of the Australian Institute of Chartered Accountants. He worked at KPMG for eight years before he joined Qantas. Mr Fenn lives in Sydney. Ms Chaplain is a former investment banker with extensive experience in public and private sector debt financing. She also has considerable experience as a non–executive director of local and state government-owned corporations involved in road, water and port infrastructure. Ms Chaplain is Chairman of Canstar Pty Ltd, a financial services research and ratings company, and is also a Director of Seven Group Holdings Limited, Credible Labs Inc and The Australian Ballet. Her former Board roles include being a member of the Board of Taxation, a director of EFIC, Australia’s export credit agency, a Director of PanAust Limited and Chairman of Queensland Airports Limited. A Fellow of the Australian Institute of Company Directors, Ms Chaplain holds a Bachelor of Arts degree majoring in Economics and Mandarin from Griffith University in addition to a Masters of Business Administration (MBA). She holds an honorary doctorate from Griffith University for her service to banking and finance, and to the Gold Coast community. Ms Chaplain lives on the Gold Coast. Mr Garling has over 35 years’ experience in the infrastructure, construction, development and investment sectors. He was the Global Head of Infrastructure at AMP Capital Investors, a role he held for nine years. Prior to this, Mr Garling was CEO of Tenix Infrastructure and a long-term senior executive at the Lend Lease Group, including five years as CEO of Lend Lease Capital Services. Mr Garling is currently the Chairman of Tellus Holdings Limited, Energy Queensland Limited and Newcastle Coal Infrastructure Group and a Director of Charter Hall Limited and the NSW electricity distributor, Essential Energy. He is a former Director of Spotless Group Holdings Limited and a past President of Water Polo Australia Limited. Mr Garling holds a Bachelor of Building from the University of New South Wales and the Advanced Diploma from the Australian Institute of Company Directors. He is a Fellow of the Australian Institute of Building, Australian Institute of Company Directors and Institution of Engineers Australia. Mr Garling lives in Sydney. Grant Thorne has over 36 years of experience in the mining and extraction industry, specifically in senior operational and executive roles with Rio Tinto. His experience spanned a range of product groups and functional activities in Australia and overseas. After serving in London as Group Mining Executive from 1996 to 1998, Dr Thorne moved to Indonesia as President Director of Kaltim Prima Coal and then returned to Australia to manage Rio Tinto’s Australian coal business as Managing Director of Rio Tinto Coal Australia and the publicly listed Coal and Allied Industries. He was President of the Queensland Resources Council in 2001-2003. In 2006, Dr Thorne was appointed global head of Rio Tinto’s technology, innovation and project engineering functions, reporting to the Chief Executive. He was a member of Rio Tinto’s Executive Committee and Investment Committee. He retired from Rio Tinto in 2011. Dr Thorne is a Director of Spotless Group Holdings Limited and a former Director of the Wesley Research Institute, JK Tech and Queensland Energy Resources Limited. He is a Fellow of the Australasian Institute of Mining and Metallurgy. Dr Thorne also holds directorships with a number of private companies. He holds Bachelor and Doctoral degrees in Metallurgy from the University of Queensland and is a Graduate of the Australian Institute of Company Directors. Dr Thorne lives on Queensland’s Sunshine Coast. Ms Handicott is a former corporate lawyer with over 30 years’ experience in mergers and acquisitions, capital markets and corporate governance. She was a partner of national law firm Corrs Chambers Westgarth for 22 years, serving as a member of its National Board for seven years including four years as National Chairman. She also has extensive experience in governance of local and state government organisations. Ms Handicott is currently the Chairman of listed company PWR Holdings Limited and of LGE Holding Company Pty Ltd trading as Peak Services, which is the subsidiary of the Local Government Association of Queensland that is responsible for its commercial operations. Ms Handicott is also a Director of Bangarra Dance Theatre Limited and a Divisional Councillor of the Queensland Division of the Australian Institute of Company Directors. Ms Handicott is a former Director of CS Energy Limited, a former member of the Queensland University of Technology (QUT) Council, the Takeovers Panel and the Corporations and Markets Advisory Committee and a former Associate Member of the Australian Competition and Consumer Commission. A Senior Fellow of Finsia and Member of the Australian Institute of Company Directors and Chief Executive Women, Ms Handicott holds a Bachelor of Laws (Hons) degree from the Queensland University of Technology. Ms Handicott lives in Brisbane. Ms Hollows has over 20 years’ experience in the resources sector in a number of senior managerial roles across both the public and private sectors, including in mining, utilities and rail. Her experience spans operational management, accounting and finance, mergers and acquisitions, capital management and corporate governance. Ms Hollows is currently the Chief Executive Officer of SunWater Limited, a Queensland Government owned corporation. She is the Chair of The Salvation Army Brisbane Red Shield Appeal Committee and an advisory committee member of the Salvation Army Queensland Advisory Council and also a board member of the Water Services Association of Australia and a a member of the CEO Advisory Committee for Dean of Queensland University of Technology (QUT) Business School. She was formerly the Chief Financial Officer and subsequently Chief Executive Officer of Macarthur Coal Limited, Managing Director of AMCI Australia and South East Asia and Interim Chair of Queensland Rail Limited. A Fellow of the Australian Institute of Company Directors and a Member of Chief Executive Women and the Institute of Chartered Accountants, Ms Hollows holds a Bachelor of Business – Accounting and a Graduate Diploma in Advanced Accounting (Distinction) from the Queensland University of Technology and is a Graduate of Harvard Business School’s Program for Management Development. Ms Hollows lives in Brisbane.